Students expand their knowledge of word roots, prefixes, and suffixes, then build and decode words using those elements. They also explore how knowledge of roots and affixes is a strategy for vocabulary comprehension. Then they combine the word elements and use their newly acquired words in sentences. In this experience, students expand their knowledge of word roots, prefixes, and suffixes, then build and decode words using those elements. They also explore how knowledge of roots and affixes is a strategy for vocabulary comprehension. Then they combine the word elements and use their newly acquired words in sentences. Decode, build, and use words with roots, prefixes, and suffixes. A surprising number of English words are built from root words, to which we add parts called prefixes and suffixes. The more of these word parts you know, the more quickly your vocabulary expands. In this experience, you will learn how to build, decode, and use words to increase your vocabulary. One of my forefathers was a famous farmer in southern Texas. Most students will recognize that the word is logically divided between fore and father. You might ask them why they chose to divide the word that way and whether they know anything about the parts. By knowing what the word part fore- means, you can spot it when it is attached to the front of a word and know that it almost always means “before.” This can give you a clue about new words that begin with fore-. Using the knowledge that the word part fore- means “before,” try to think what the word forewarn means? Write a sentence using the word forewarn. Discuss that forewarn means to “warn before” or “warn ahead of time.” You may want to tell students that the word part fore- is called a prefix. They will learn more about prefixes and other word parts in the rest of the experience. 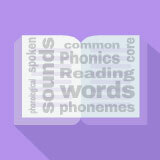 In this experience, you will learn more about the word parts that can give you clues about new words.